Little Digger loves to work hard, digging holes all day long. 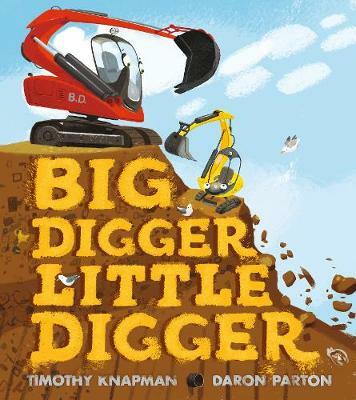 "Little digger, little digger, little digger," he hums happily as he digs. But, one day, an especially BIG hole needs to be dug, and so in comes ... BIG DIGGER. "Big Digger like to dig down DEEP!" he roars, and he begins to dig the biggest hole that anyone on the building site has ever seen... With the arrival of Big Digger, will there still be a place for Little Digger on the building site? A heart-warming read-aloud story about the power of hard work, teamwork and positivity from the author of Follow the Track All the Way Back and award-winning illustrator Daron Parton.